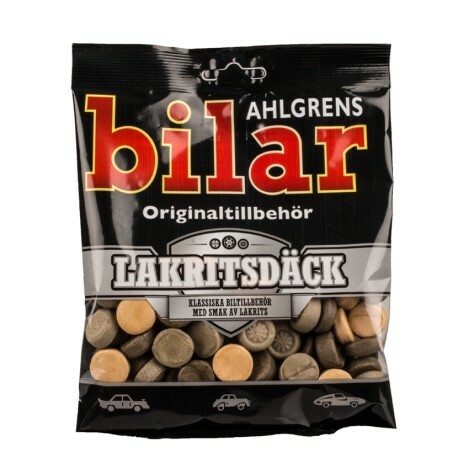 Ahlgrens Licorice Tires are soft, chewy and fresh pieces of black licorice in the design of car tires! Easy and fun to eat for everyone! Ahlgrens Licorice Tires Black Licorice is a rich, chewy and satisfying candy! Ahlgrens Licorice Tires Swedish candy is always fresh and priced right at SnusCentral.com! There is no tobacco in any of our yummy Swedish candy. Buy snus from our huge, fresh Swedish snus selection if you are looking for tobacco!